Stay near the IT hub of the city! Hotel Kozy Rooms is located close to the ITI layout park and provides a comfortable ambience to stay in. The bedrooms at the hotel have light colored walls and wood furnishings, keeping the ambience of the rooms cozy and relaxing. The hotel provides its guests with amenities such as a geyser, free Wi-Fi, power backup, CCTV cameras and a card payment option that encourages the guests to go cashless. 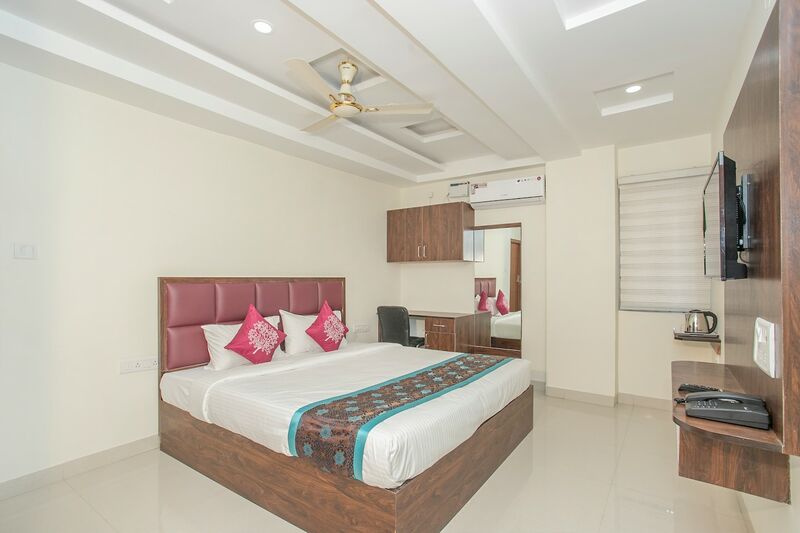 The area is located near-by the famous local attractions like Shree Dodda Ganapathi Temple, Sri Maheshwari Temple, Lalbagh Botanical Garden, Shiva Temple and Wari Watai which are easily accessible due to the proximity of Aishwarya Apartment Bus Stop and Parangipalya Bus Stop.